Mindfulness. Alignment. Breath. Flow. Relax. Backwards Yoga provides a community of support for building a yoga practice on the mat and the tools to apply the practice throughout our everyday lives. We believe that yoga is for everyone, and we are passionate about sharing a connection while helping our yogis grow along their own paths to a more balanced mind, body, and spirit. We recognize that as yogis we are not just men, women, and children, but stewards to give back to our community and earth. Kela is a 200-Hour certified yoga instructor. She has been practicing yoga to help with back pain caused by a surgery she had to treat her scoliosis. She even has 2-13 inch rods in her spine! Amazed by how much less pain she had while practicing that she continued to deepen her practice from a daily practice into an emotional practice. She has learned that yoga is not only about the poses during a yoga class, but the importance of personal balance within the mind and body. Kela lives by the yoga practice and believes not only in the poses but the spiritual and emotional healing that comes with the yoga practice. Her classes are powerful, playful and heartfelt! She will inspire you to grow stronger, more flexible, and fearless, both on and off your yoga mat. 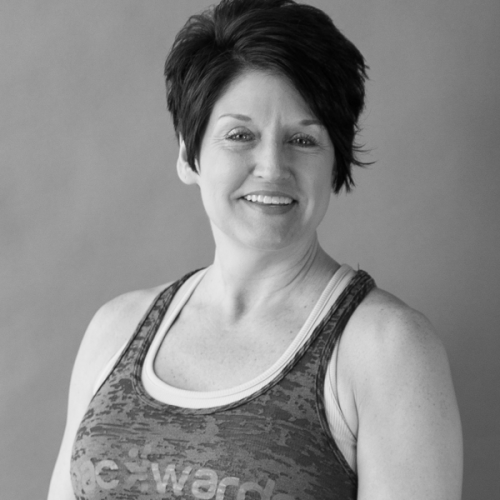 Shawn has been teaching group fitness classes for over 25 years. 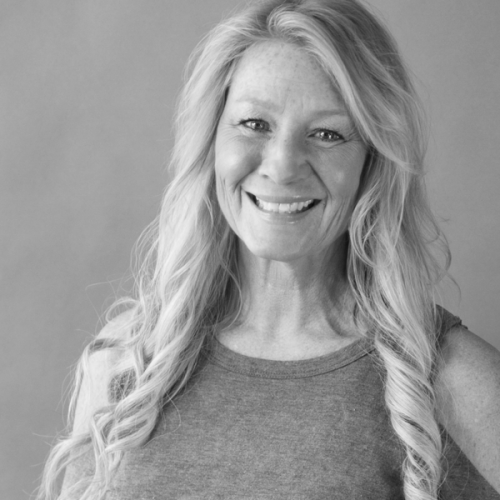 Shawn loves yoga and her favorite part is seeing her clients become more flexible. Shawn gets excited when showing new students how to properly do their poses while keeping the “seasoned yogis`` sweating. Along with seeing progress, Shawn also loves meeting new people who in turn become friends. She hopes to develop a group of people that become healthier because of their practice. 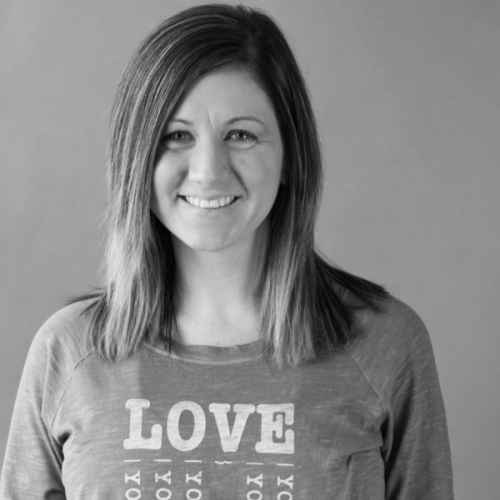 She is passionate about connecting with people and showing them how yoga can help you better understand yourself. Shawn believes that yoga is more than a workout, but a way of life. As I get older I have really changed my focus in life; I believe that I am a life long learner but achieving happiness and inner peace are now my additional focus and I believe that most of us have similar desires. I hope through yoga, at Backwards Yoga, you will be inspired to find your inner peace and continue to grow your practice as I have. At 50 (something ) I am blessed with the opportunity to continue to learn while I share my experiences through teaching. I walked into a yoga class a few years ago, not knowing what to expect. I spent most of the time with my neck cranked to one side as I watched in amazement, not to mention how good I felt! I was hooked. As an education teacher and trained counselor in mental health, vocational rehab and school counseling, I am always searching for something to help people grow and learn. YOGA is it, through practice people can achieve a calmness that helps to make better decisions to have more clarity in their everyday life. I was fortunate enough to be introduced the opportunity of working towards a 200-hour Yoga Teacher Training certification through Yoga Alliance at Backwards Yoga. This journey has not only developed my physical skills, the knowledge and value of flexibility and balance, but is also creating a calm and peaceful mind for me. Ultimately, I want to work towards my more authentic self while keeping my heart open, strong, and always compassionate. I hope to help open the doors to positive transformation for each of my students that begins with personal expectations and develops into a personal practice that is completely their own. What I appreciate most about Backwards Yoga is this is a welcoming space and safe environment. I want to offer a variety of skilled classes working with the ultimate goal of Backwards Yoga- Yogi’s first. Understanding that the time spent on the mat in the studio is your time, and to honor yourself- you deserve this! Are you a work in progress? Great you will fit right in! I hope to see you in a class or two. Namaste, Holly. I reluctantly tried my first yoga class in 2015 with a friend who was participating in a challenge at Backwards Yoga. I'd just been broken up with and my anxiety was to the point that I couldn't even drive by myself without having to pull over from crippling panic attacks. I remember how totally awkward every single pose felt and how I wasn't even close to touching my toes. By the end of class though I felt a breakthrough in myself as a whole. It was so refreshing that I continued to come back and experience continuous changes in my body, mind, and soul. Along with learning how to breathe & where to position my body, I was also learning how to listen to what my body needs. This lead to discovering the source of my lower back pain, Spondylolisthesis, in late 2016. It became apparent then that yoga would continue to be a huge part of my life in hopes of not having back surgery to stabilize the slipped vertebrae caused by a compound fracture. Soon after committing myself to yoga as a life-long journey, I heard about a 200-hour Yoga Alliance teacher training at Backwards Yoga. My boyfriend and I had just bought a house so it seemed like bad timing, but I took the leap of faith anyway- telling myself if I could make enough from my music gigs between now and when my payment was due, I would take the opportunity. It seemed like such a random decision at the time, but left to the universe, it just so happened I earned the exact amount needed to join. I can't even begin to describe how incredible the experience was in becoming a yoga teacher, let alone what I have learned from every single one of my students. My goal with the classes I offer is to inspire others to come to the practice with an open heart and allow yoga to work in their lives on more than a physical level. My classes are accessible to every body and targeted to work with students on an individual basis to give them freedom within building their practice. I hope you'll join me and meet yourself on your mat, Namaste. I took my first yoga class approximately 7 yrs. ago. An acquaintance recommended hot yoga to help get over a fitness/weight loss plateau. Even though I didn't think it would be for me, I eventually caved and decided to give it a try. I’ve loved the strength, flexibility and balance enhancing benefits since that first day! Maybe it wasn’t love at first, but I liked the challenge and it was a good balance with the time I was spending in the gym. In recent years, and especially while becoming 200 hr Yoga Alliance certified, I started to embrace other benefits like confidence, self acceptance, relaxation and more overall positive feelings. 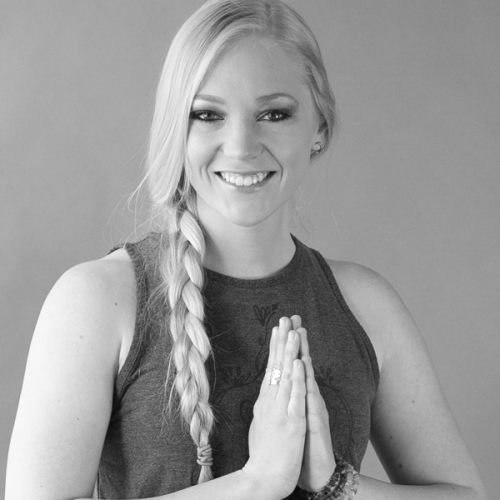 My passion for yoga is something I love to share with others, and I am so excited to get a chance to do that at a studio that I consider my second home! I will offer classes that are welcoming and encouraging to the beginner as well as challenging to the experienced yogi. Most importantly I hope everyone walks out of the practice with a feeling of satisfaction, peace and good vibes! 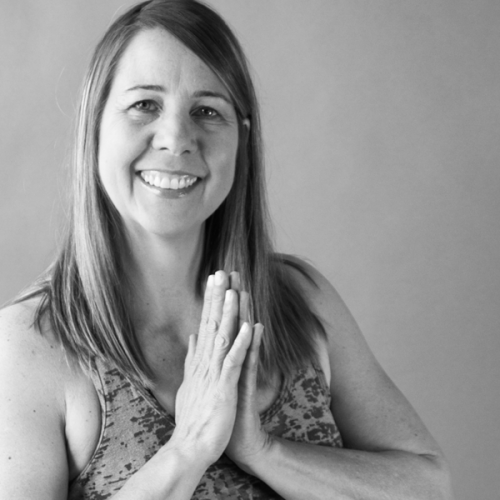 Beth Leinhauser has been practicing yoga for over 15 years. She finds that the practice gives her balance throughout day to day life both in a physical sense and personally as well. Yoga makes people look at their inner selves and takes the practice off the mat by choosing to live each moment more mindfully. 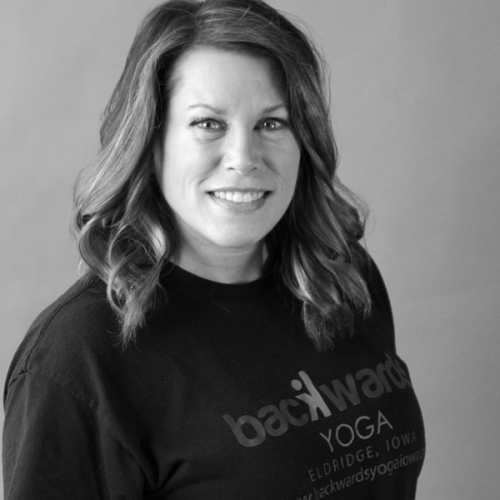 Combining a love for yoga and other aspects of fitness, Beth teaches YogaTone and Boot Camp classes at Backwards yoga. Her classes combine sequences in a way that inspires students to strengthen and grow within their own lives. Training the body in specific drills provides an added advantage of strength when we return to our regular yoga classes. Beth's classes are a great way of working small groups of muscles before returning to the bigger picture within a yoga flow.